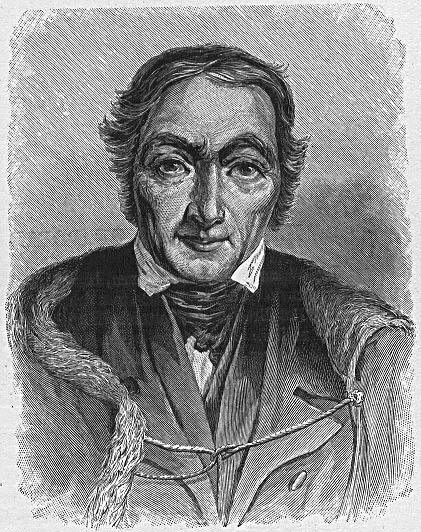 Robert Owen was a British industrialist who lived from 1771 to 1858, during the height of the Industrial Revolution. He owned several textile mills in New Lanark, Scotland in which he undertook several different aspects of socialism. Today, historians refer to Owen as a Utopian Socialist. For example, while Robert Owen believed it was important and necessary for business owners to operate profitable businesses that made them wealthy, he also believed it was important that the workers in these businesses were treated fairly. In his own mills, Owen improved the life of his employees in many ways including: creating a company store in which employees could buy goods, limiting the hours of workers, offering basic healthcare, and providing education for both children and adults. At the time, it was common for business owners to pay their employees in company ‘tokens’ that were only usable in the company store. Often, the business owners would stock the company store with poor quality goods and charge their employees high fees as a way to generate more wealth for themselves. Robert Owen kept the idea of the company store but, instead, stocked it with high quality goods and food and charged his employees a reasonable price. Next, he placed limits on the hours that his employees worked in his mills. He believed that employees should be limited to working eight hours per day, which differed from the twelve to sixteen hour shifts which were common at the time. For example, he stated in 1833 that “eight hours’ daily labour is enough for any human being.” He further argued that an eight hour work day should be enough to afford the necessary food, clothing and shelter. Instead, he believed that people should be allowed to have free time to devote to their own education and recreation, as well as enough hours for proper sleep. For example, Robert Owen coined the slogan “Eight hours labour, eight hours recreation and eight hours rest.” Finally, Owen did not hire any children under the age of ten and instead promoted the idea of education and basic healthcare for all of his workers. Formal education for children was not a common practise at the time, and there were no policies that forced business owners to provide a basic education for their workers. However, Owen believed it was important for the well-being of people to receive an education and for children to have the opportunity to learn instead of being forced into a mill, factory or mine at a young age. For example, in 1816, he opened the ‘Institute for the Formation of Character’, which was created to educate the children of his New Lanark mills in reading, writing, mathematics, history as well as art and dance. He died at the age of 87 on November 17th, 1858. Today, Owen is remembered as an early socialist and is often referred to as a Utopian Socialist along with Charles Fourier. He is credited with introducing socialist ideas into England that helped transform the society during the Industrial Revolution.